A rare incident of birthday celebration with elderly citizens took place at a Community Hall at Panwila Village in Hikkaduwa recently. It was the birthday of Captain Dinesh Gunasekara, a pilot of Sri Lankan Air Lines. Dinesh had a childhood dream of celebrating his birthday with needy senior citizens. Dinesh planned to celebrate his birthday with HelpAge Sri Lanka (HASL) which is the only eye hospital in the country that conducts 20 free cataract surgeries a day for senior citizens. Previously, Dinesh and his wife Tharani organized a similar medical and eye camp with HelpAge to coincide with their wedding anniversary similar to this event. The medical and eye camp began around 9am and approximately 159 elders were present that morning. The elders mainly focused attention towards cataract in their eyes. The camp lasted nearly five hours and 76 medical screenings and 83 eye screenings were conducted. Seventy six elders were provided with Bifocal and reading glasses. Seven Elders who needed cataract surgeries were referred to HelpAge Eye Hospital at Wellawatta, Colombo 6 for free cataract surgeries. 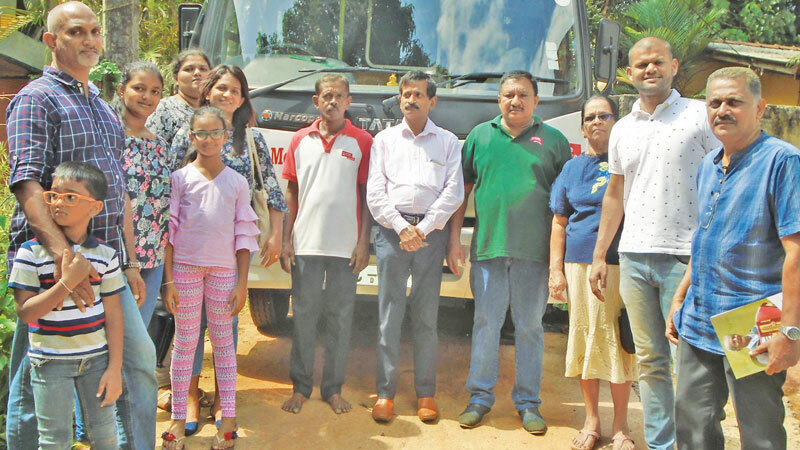 Their parents S. M. Gamage and Damith De Silva and other family members were also present at the event. HASL, Executive Director Samantha Liyanawaduge thanked Captain Dinesh for celebrating his birthday by helping needy elders in our society and said this is also an example to all who wish to spend their wealth for worthy cause.